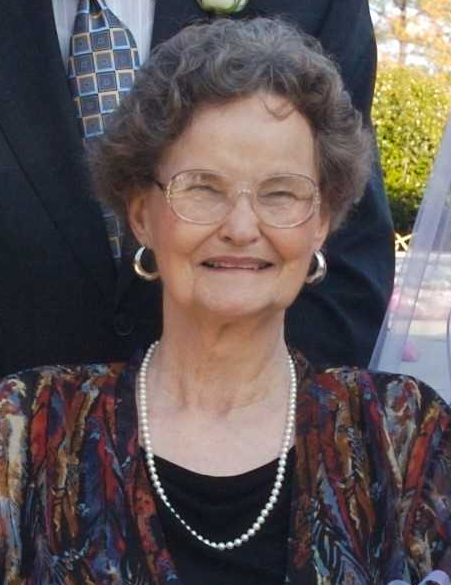 Paula Mann Campbell, a lifelong resident of Alabama, passed away on Wednesday, September 5, 2018, at the age of 89. She was born March 10, 1929 in Elmore County, Alabama and graduated from Auburn University with a degree in Social Work. After raising her children, she received her Master’s in Education from UAB and taught in the public school system for many years. Paula was a member of Philadelphia Baptist Church in Cahaba Heights for over 60 years and faithfully attended as long as her health allowed. She was preceded in death by her husband of 65 years, Charles W. Campbell, Jr. and her parents, Genie and Loomis Mann. Paula is survived by four daughters, Kathi Goodwin (Larry), Charlene Campbell, Paula Pegues (James) and Tracy Williams (Dennis). She also leaves behind six grandchildren, Jennifer Pegues Middleton (Joe), Kym Goodwin Stokes (Justin), Katie Pegues Garrison (Joseph), Michelle Goodwin & her fiancé, Eric Bumpers, Daniel Williams and Melanie Williams, and two great grandchildren, Charlotte Middleton and Lennox Stokes. She will also be missed by numerous nieces, nephews and friends. Visitation with the family will be held on Saturday, September 8, 2018 from 12:00 -1:00 PM at Currie-Jefferson Funeral Home, Hwy. 150 in Hoover. Graveside service will follow at 1:00 PM at Jefferson Memorial Gardens, South, in Hoover.